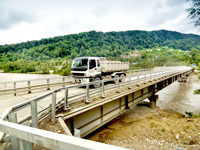 The combined highway/railway road from Adler to Alpica Service alpine resort is one of the largest projects having been implemented recently on the Russian soil. This combined road is an integral part of the 2014 Olympic transport network that links main sea, railway and air transport terminals in the city of Adler with Olympic venues and nearby alpine resorts. This road is designed to serve athletes and gests of the 2014 Olympic games and tourists and vacationers in general. With regard to road layout conditions, passenger safety and comfort, and concentration of infrastructure facilities this road has no parallels in the country’s road construction history. The railway track spans 48.3 km, including 11.2 km of bridges, and 10.4 km of 6 tunnels. 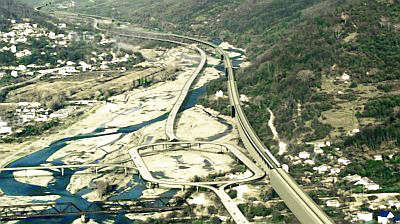 The highway spans 45.6 km, including 14.3 km of bridges, and 7.6 km of 3 tunnels. The road project includes construction of permanent and temporary facilities. Permanent facilities include highway and railway infrastructure, transfer terminals and stations, railway traction substations, repair facilities and operation units. 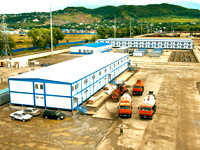 Temporary facilities include bridges, construction camps, storage and supply facilities, asphalt and concrete plants, and construction waste sites. 2007. 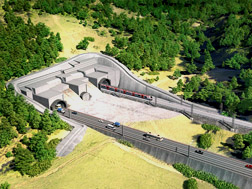 Development of the preliminary environmental impact assessment section (EIA) in the Justification of Investment book for the Adler-Vesyoloe-Krasnaya Polyana railway construction project. • development of necessary environmental protection measures. specialized leading Russian companies in previous years. • historic records, library and archive materials. 2008. 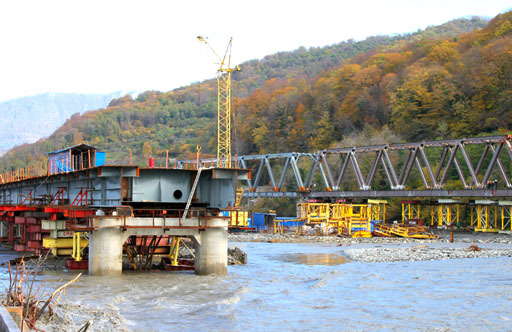 Environmental engineering surveys of the Adler  Roza Khutor highway. • to obtain baseline data necessary for the development of environmental requirements for the construction management plan. 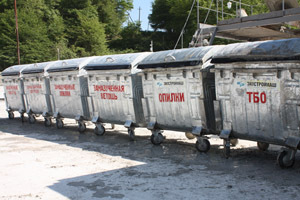 • Ekodorservis environmental road service company. The environmental engineering studies included assessment of the state of surface runoff, subsurface waters, soil, vegetation, wildlife, aquatic biota, and atmospheric air (environmental pollution and noise characteristics). 2008-2010. Development of the environmental management sections, environmental impact assessment sections including, for the project “Combined highway and railway road from Adler to Alpica Service alpine resort” and updating of these materials. Rostekhnadzor has approved the positive conclusion granted to the whole project by the state construction project environmental expert review agency (Conclusion no. 1050 of 23 December 2009). 2009-2010. 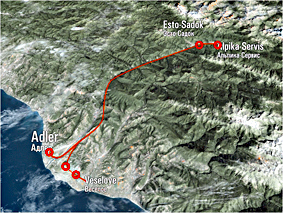 The projects of reclamation of the territories used by the construction project “Combined highway and railway road from Adler to Alpica Service alpine resort” (general design stage). 2010-2013. 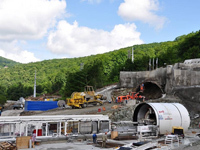 The projects of reclamation of construction disturbed lands prepared as an integral part of the specification documents for the project “Combined highway and railway road from Adler to Alpica Service alpine resort”.